But moving on, here we are at the latest pizzeria opening, Nu Posto, and I can say it was worth the wait. Just look at it! It ticks all the criteria - perfectly formed cornicione, gorgeous leoparding, charred underskirt. The dough has a great taste, was well seasoned with the classic Neapolitan pillow soft, chewy rim. 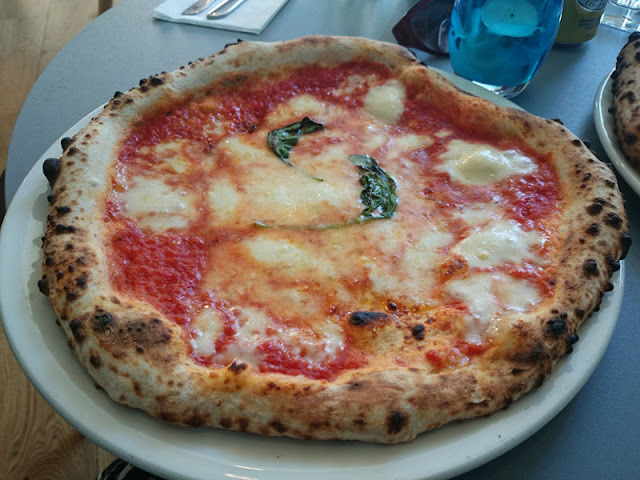 The tomato sauce was full flavoured and full of sunshine and the mozzarella of super quality. Just two basil leaves were all that was needed to complete this a fabulous Margarita. Simplicity and quality - the two essential ingredients to any decent pizza. It was so good I had to return just two days later for more! 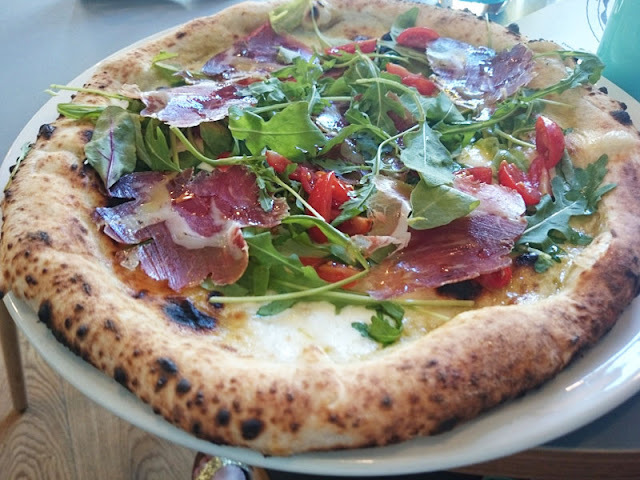 This time a Vietri with mozzarella, rocket, tomatoes and capocollo and a Postiano with tomato sauce, mozzarella and fiery Nduja sausage. Again, really good bases and superb quality ingredients. Now this is no fluke. The people behind Nuposto are experienced restaurateurs and pizzeria owners from Naples. They know dough like the back of their hand, clearly. Despite an enormous premises, they don't want to deviate from their core offering of pizza, which I think is a great idea to keep their focus. Only a few simple antipasti and desserts keep the pizza company on the menu. And don't come expecting a Hawaiian special. 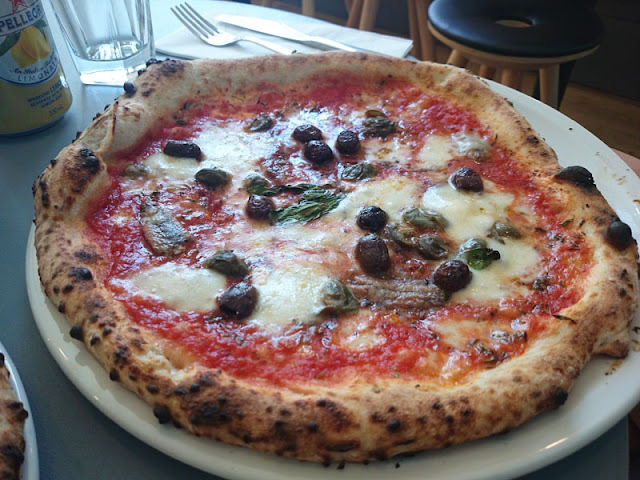 The pizzas all celebrate Italian produce with regional salume and even friarielli, a type of fine broccoli traditionally used on Neapolitan pizza. Had I not been with my new baby, I may have also made a dent in the drinks list which includes a few classic and modern twists on some Italian cocktails. The place itself is nicely designed with the two pizza ovens in pride of place. The ovens themselves run on gas not wood interestingly. But the owners have a wood oven in one of their restaurants in Italy and gas ovens in the other. Apparently there is little difference in the resulting pizza. Personally, I still think wood burning ovens add a layer of taste but I will let it go here as they tick so many other boxes. 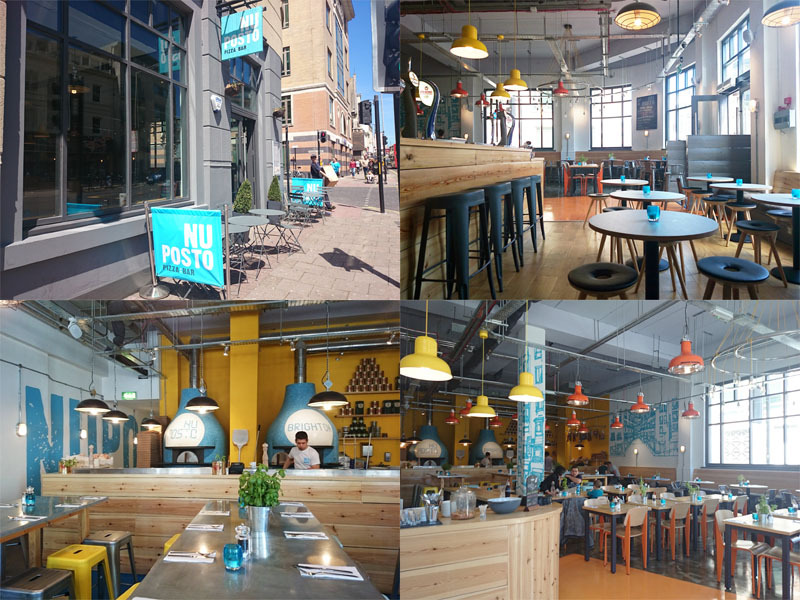 Nu Posto is also ideal for families and there is plenty of space for buggies, good news for parents as Brighton is thin on the ground for decent places to eat with room. Staff are particularly sweet to little ones too. They may want to advertise the fact that they offer children's pizzas though. It's not advertised anywhere, not even the menu and I had to ask specifically. 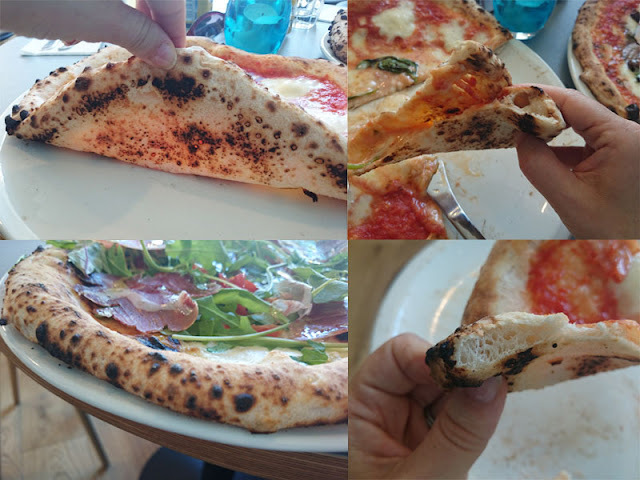 So yeah, I'm finally happy to have a pizzeria in Brighton I recommended to people with confidence. It would normally take a lot to get me to dine down West Street, but I'll happily come down now, past the dodgy bars and scantily clad tourists to worship at this carbohydrate temple.